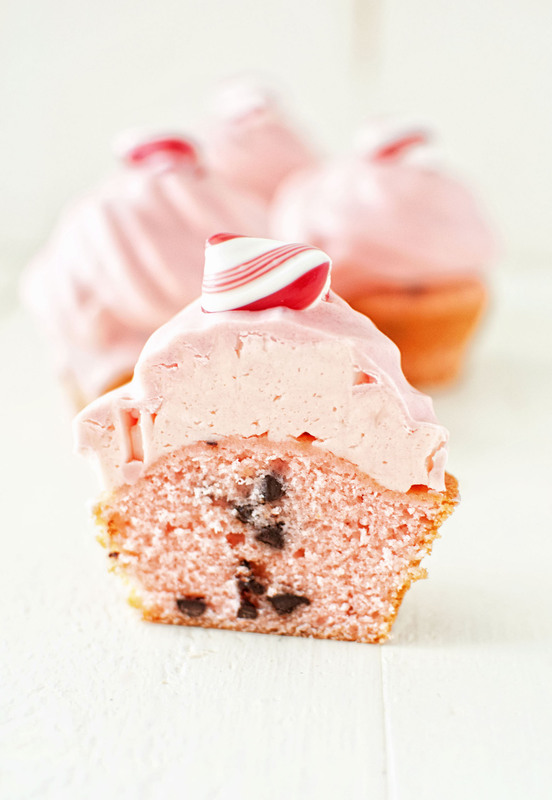 Chocolate Chip Peppermint Cupcakes: Vanilla cupcakes studded with mini chocolate chips and frosted with peppermint Swiss Meringue Buttercream and dipped in white chocolate. All pretty in pink. Thursday last week Grey’s Anatomy featured one of their main characters, Miranda Bailey, having a heart attack. February is after all American Heart Month. And last Friday was National Wear Red Day to raise awareness about women and heart disease. You should learn about the symptoms in women here. So it made sense for them to cover this story line. What hit me was that they didn’t believe her. Which happens to a lot of women. We are often dismissed as having a panic attack. It’s our number one killer. Even my own husband who looked horrible they downplayed it…right up until he coded. Then Sunday night after the Super Bowl there was This Is Us. If you watch that show and haven’t seen it yet stop reading. It was known that the father, Jack, was going to die in that episode. It was eluded that he died in a fire. Instead after dragging his feet having smoke inhalation and I minor injury he and his wife go to the hospital. While there, his wife goes to get something from the vending machine. Before she can return he goes into cardiac arrest and has a widow maker heart attack (the same kind as my husband). Except, unlike my husband, Jack dies. When the doctor comes and finds her she is in total denial. Right up until she walked into his room. Her break down hit very close to home. Not only for me but for my husband. I think he finally realized what it was like on my end. The moments from when my husband coded to when they got him back seemed like an eternity. I was somehow numb yet feeling everything all at once. Waiting for him to come out of the Cath lab seemed like time stood still. Then when he got moved to ICU I went from hot mess to pulled together. I had to be. I could not worry my husband. In the show after her melt down, Rebecca (the wife), pulled it together for her children. I don’t know if it’s something most people do but it’s something she did and something I did and I related to her even more. The Widow Maker heart attack has 4 out of 5 people dying…my husband beat some incredible odds. While I am beyond grateful that he survived…I am just as grateful that it happened. Because clearly it was going to happen at some point. And instead of going home we went to the hospital. Thank God. A few years ago there was a player in our league who was having similar symptoms. His kind of came and went and he chose to go home. He died that morning at his home while showering. Don’t be the hero men. Learn ALL the symptoms. Carry chewable baby aspirin. Don’t take chances. I’m quite sure there are loved ones who want you around. My dad loves chocolate mint ice cream and I decided to make that in cupcake form. But Valentine’s Day is coming up so I wanted them to be pink and not green. Plus a had a bunch of peppermint candies. 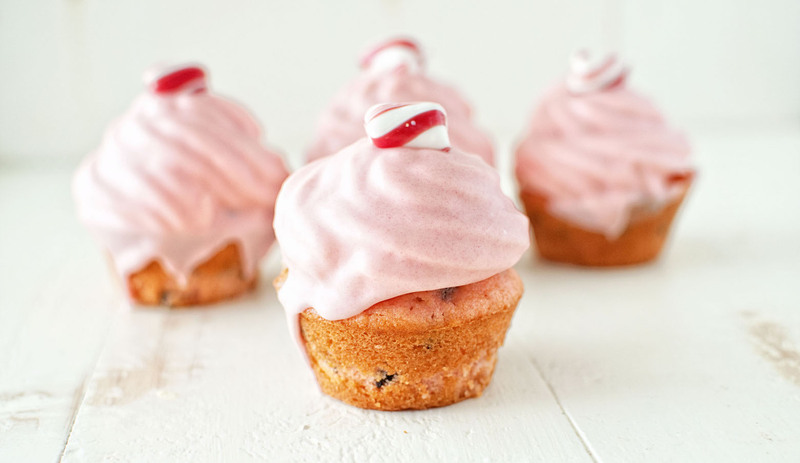 If you want them to be more Valentine-is just add heart sprinkles instead of a peppermint candy. Or you can add more mini chocolate chips. Or you can make these green. Or blue. Or no color. Whatever floats your boat. Add the food coloring and beat until fully incorporated. If you want the frosting to be pink add some food coloring and mix. I divided the frosting so half was white and half was pink. Add in the food coloring if using and mix until fully incorporated. 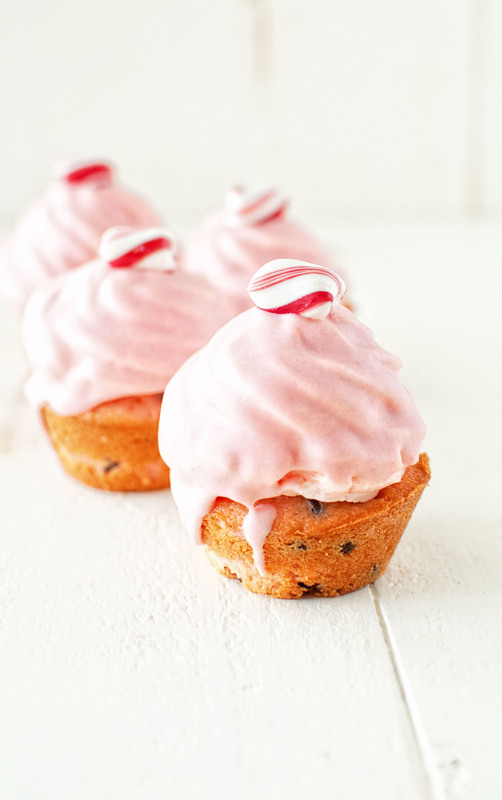 Add peppermint piece to the top of the cupcake. You can use sprinkles. You can use mini hearts. Use mini chocolate chips. Or leave plain. I’ve still never made Swiss meringue but I would love to take these to work Wednesday for Valentine’s day. They look so fun!